Pink is in at 80 Queens. (SPOT.ph) No one is safe from millennial pink, even drinks! This bright summery color is quickly filling up Instagram feeds, and we know exactly where you can get that photo op. 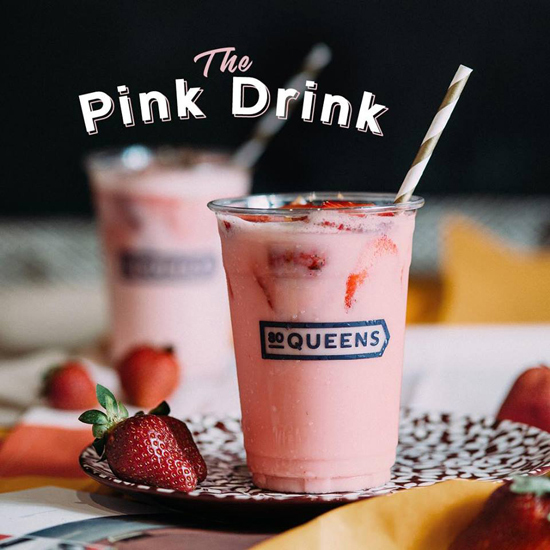 80 Queens has made their own yummy version of this double-tap worthy treat, and just for today, May 26, you can get the Pink Drink for free too! All you have to do is order either the Black Stack or the Red Fries, and get your drink on the house. 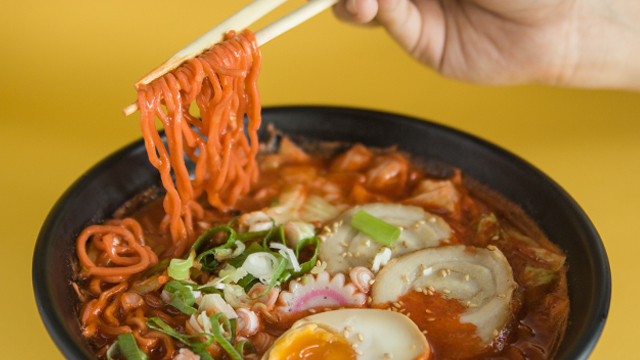 80 Queens is run by the same team behind froyo shop BLK 513, and the two share space at Eastwood Mall. 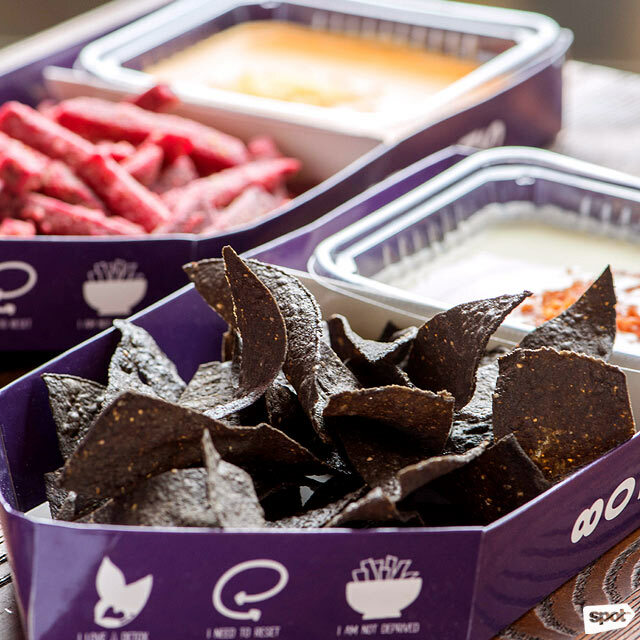 80 Queens advocates eating snacks that are full of antioxidants beneficial to the body: The Black Stack are nachos infused with activated charcoal, and the Red Fries are beet fries with a corn crust. 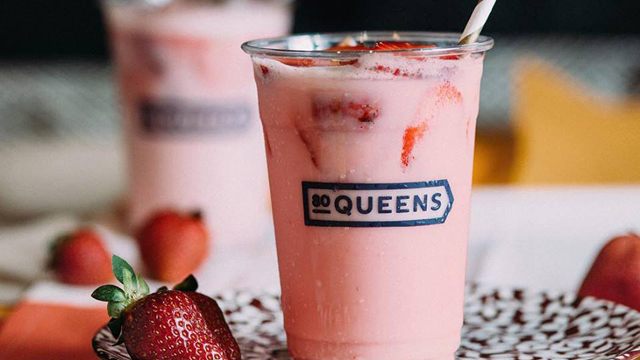 The Pink Drink is just as friendly to your body, with strawberry chunks and acai berries blended in a refreshing milk-based drink. 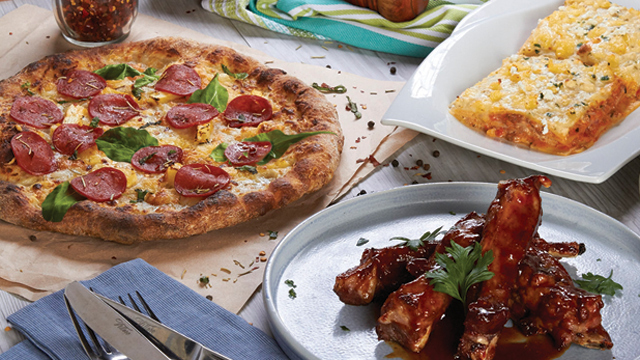 Your tummy will thank you for these colorful treats. 80 Queens is at 2/F Eastwood Mall, Libis Quezon City.